Jakarta. 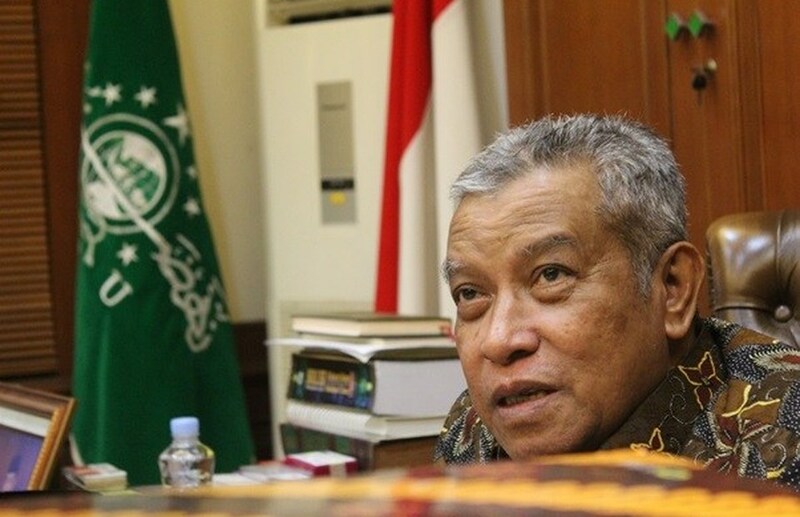 Said Aqil Siradj, chairman of Nahdlatul Ulama, the country's largest Islamic organization, has called on Muslims to play an active role in helping to prevent child marriage in Indonesia. "Preventing child marriage is a mighty important thing to do, to avoid the negative impacts on women and children," Siradj said, as quoted in a statement by the Rumah Kita Bersama Foundation. In a meeting with members of the foundation at Nahdlatul Ulama's headquarters in Central Jakarta on Monday, Siradj also offered to hold a focus group discussion with NU's education body to build a common understanding on the importance of preventing child marriage and increasing the organization's role in ongoing efforts. The Rumah Kita Bersama Foundation is a research institute for policy advocacy established in 2010. Its work focuses on fighting for the rights of marginalized communities. Involving both religious and nonreligious organizations is considered a viable way to help end child marriage, especially in rural communities where it is still practiced and considered part of tradition. Indonesia ranks 77th among countries with the highest absolute numbers of child marriage, with around one in nine girls married before they turn 18. The prevalence of this practice in the archipelago affects approximately 375 girls every day, according to data published by the United Nations Children's Fund (Unicef). Despite the legal age of marriage being 21 in the country, there have been exemptions allowing girls as young as 16 to wed with parental consent. In December, the Constitutional Court ruled that the government must change this minimum age requirement. The court declared that the 1974 Marriage Law discriminated against girls and diverged with rules on child protection, and subsequently gave lawmakers three years to decide what the new minimum age should be. However, many cases show that girls enter into religious marriages through nikah siri, which literally means "secret wedding," that are not registered with the government. The underreported nature of child marriages means that grassroots-level efforts are key, and influential organizations such as Nahdlatul Ulama could therefore play a crucial role. "Preventing child marriage is an urgent matter for us to reduce divorce rates and for families to thrive," Siradj said.